This microcontroller project built by Chris Spurlock. 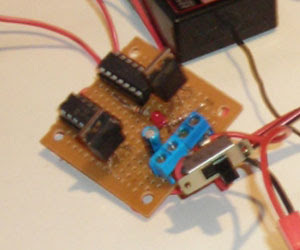 He try to make a cheap electronic speed controller for brushed DC motors. 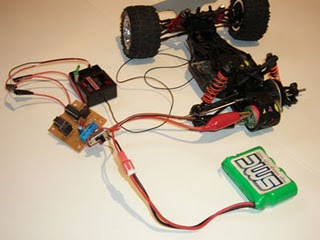 All cost for this project only take about $15 and a little more brain power and programming on PIC microcontroller. I though it's a suitable project for people that want to make a simple electronic project based on PIC microcontroller. Here is the schematic for the project and For more detail information.